After the end of the spring season the doors of the Snowpark Bispingen are open for the Summer of 2017. 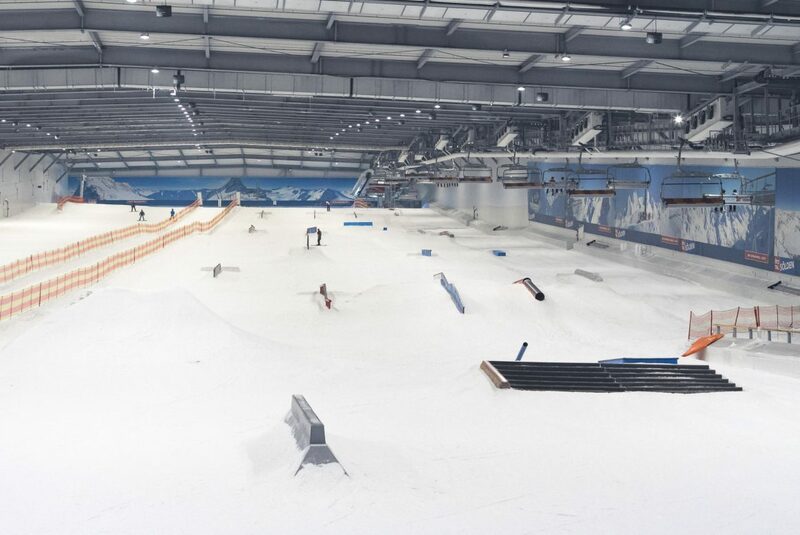 The indoor snowpark located in the south of Hamburg had the Park Opening in early June. 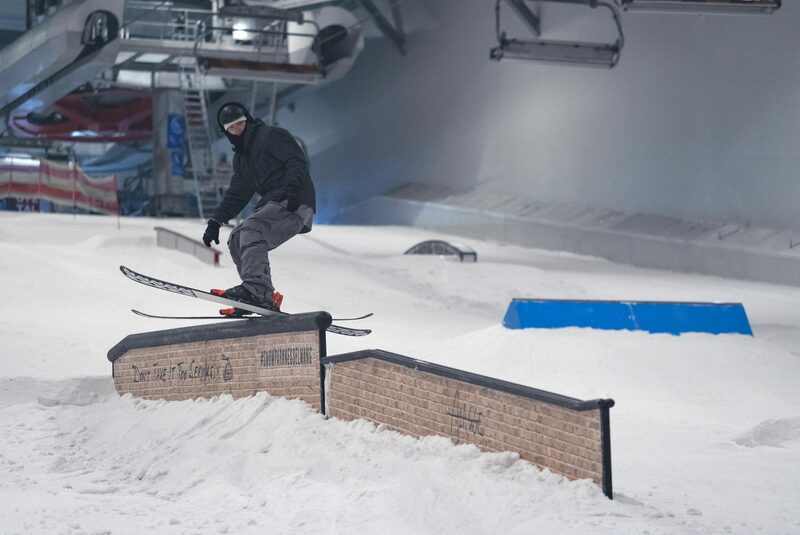 Skiers and snowboarders came from all over Europe to shred the new setup. In early August the legendary Summer Feast Camp returns to the Snow Dome Bispingen. The new Snowpark Bispingen summer setup with over 27 obstacles in four different lines offers many opportunities for all Jibheads. The variety of rails, tubes and boxes are justified for beginners, advanced riders and professionals. The Swiss Freeski Team approved the setup during a big training camp with over 30 athletes from all over Switzerland in early July. 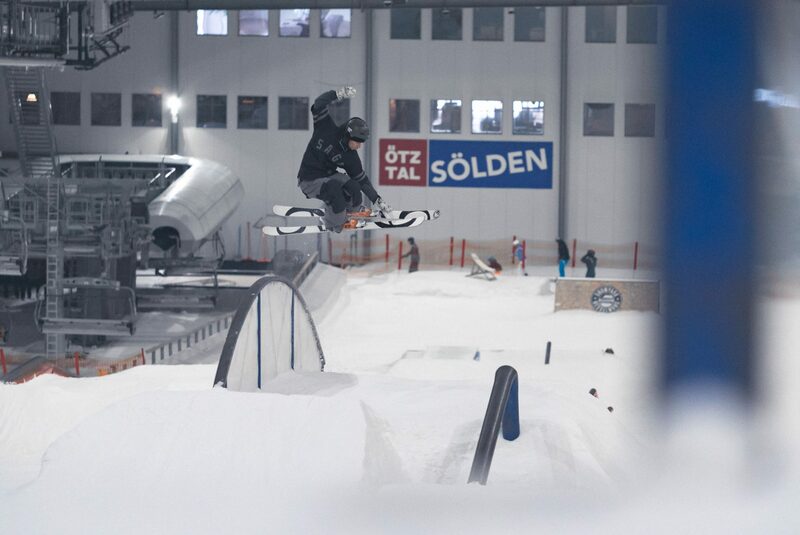 The Bispingen Park Crew recently made a deal with the Snowpark Nesselwang. 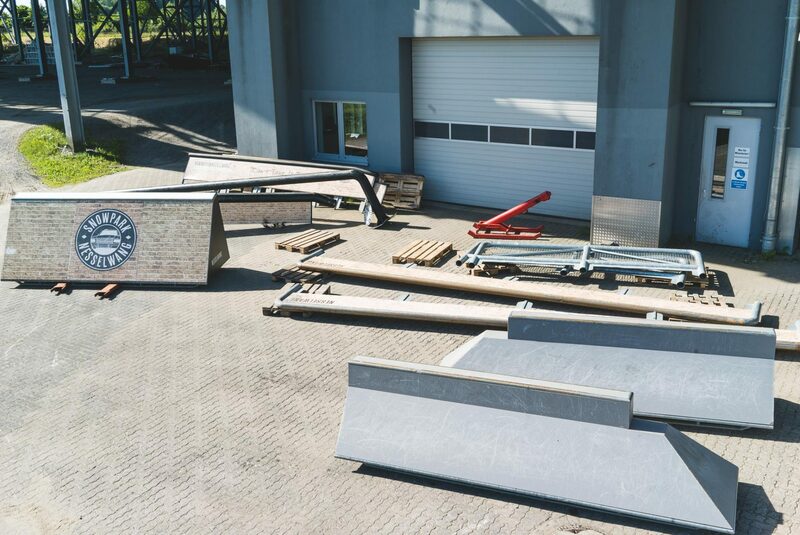 The bavarian based Park chartered a truck and delivered around 15 fresh obstacles for the summer. The setup will be extended over the next few weeks to build up the biggest indoor park ever seen in Bispingen. For the Summer Feast the setup will be extended to the maximum. The Camp takes place from the 31st of July until 6th of August. The Summer Feast is celebrating its 9th edition during this week. The camping spot right next to the slope is open for everyone. The area offers a Miniramp and options to Grill & Chill. In the evening attendees can watch the bonfire, relax with a beer and connect to other rider. The 3-month Membership pass costs only 129€ and is also valid as Park Ticket for the Summer Feast 2017. The camping fee will be 5€ per night. You can find more details about the Summer Park and the Summer Feast 2017 on our social media channels on Facebook and Instagram. The SNOW DOME Bispingen is an indoor ski slope in Lower Saxony, which opened in October 2006. The track is 300m long, 60m wide and has a total area of 23,000 square meters for skiers, snowboarders and sledders. The temperature is about -2 to -4 degrees. In the main catchment area around the cities of Hamburg, Hanover, Bremen and Berlin live about 8 million people. The SNOW DOME Bispingen is one of the most popular theme parks in Northern Germany. Since 2007, visitors can use one of the only indoor Funpark in Europe. Since then the park got upgraded to 30 different obstacles for all skill levels. The location has firmly established itself in the snowboard and freeski scene since the first summer camp in 2008.